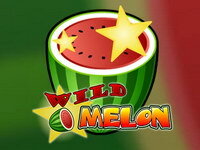 Wild Falls is a Klondike Gold Rush themed virtual slot machine made by Play ‘n GO. 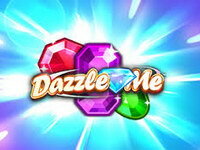 It is an online 5-reel slot that includes gold mining equipment symbols like Pick & Shovel, Sack of Gold and Lantern. Head down to the Yukon River to grab yourself a piece of the action! 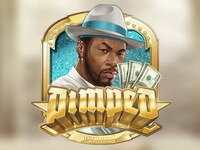 The Chests symbol acts as a scatter which can help you to unlock one of four amazing bonus features; Rapid Re-Spins, Gold Rush, River of Gold and Super River of Gold. 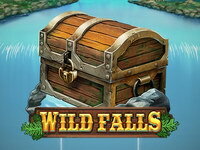 Watch in anticipation as the Wild Chests float gently towards the reels and then drop, helping you to create more winning combinations and adding an extra dimension to your gameplay. - Rapid Re-Spins. This is triggered by having one or two chests on the reels. 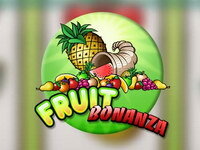 Once you have been awarded any winning paylines, the Wild is held in place and all other positions re-spin. Again, you get paid out on any new winning lines and then the Wild will fall off of the reels and the re-spins end. - River of Gold. You can trigger River of Gold by having three Scatters land on reels 2, 3 or 4 during the game. In this feature, instead of the Chests falling off of the reels after a spin or re-spin ends, they will ‘walk’ down one position in the reels until they fall off the bottom. - Gold Rush. 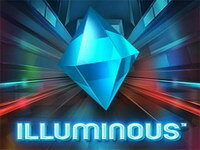 In Gold Rush mode all of your Chests will be transformed into Golden Chests! Golden Rush is awarded during regular spins, but once you activate it Golden Chests will be active for that spin and all its subsequent re-spins. 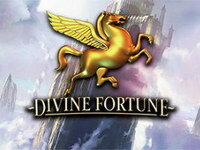 Gold Chests have hidden multipliers of 2x, 3x and 5x which can yield a maximum of 125x! 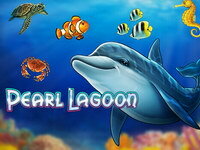 Pearl Lagoon is bubbly 5-reel, 20-line undersea slot game made by Play 'n Go. It includes a wild symbol (the dolphin) and a scatter symbol (the clam). The wild symbol substitutes for any other reel symbol (except for the scatter symbol) to help comprise winning combinations.